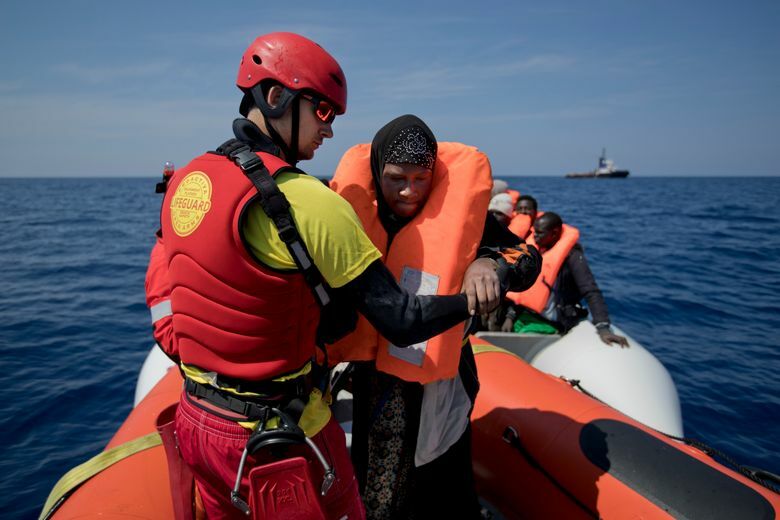 ON THE MEDITERRANEAN SEA (AP) — As usual, it started with a call on a satellite phone from Italian rescue officials in Rome. They were relaying a distress call they’d received from a migrant smuggling ship adrift somewhere off the coast of Libya. On board the Golfo Azurro, Guillermo Canardo was taking notes. A fishing trawler-turned-exploration yacht-turned-rescue ship, the 30-year-old Golfo Azurro is now operated by Proactiva Open Arms, a Spanish nonprofit dedicated to rescuing migrants before they are consumed by the unforgiving Mediterranean Sea. 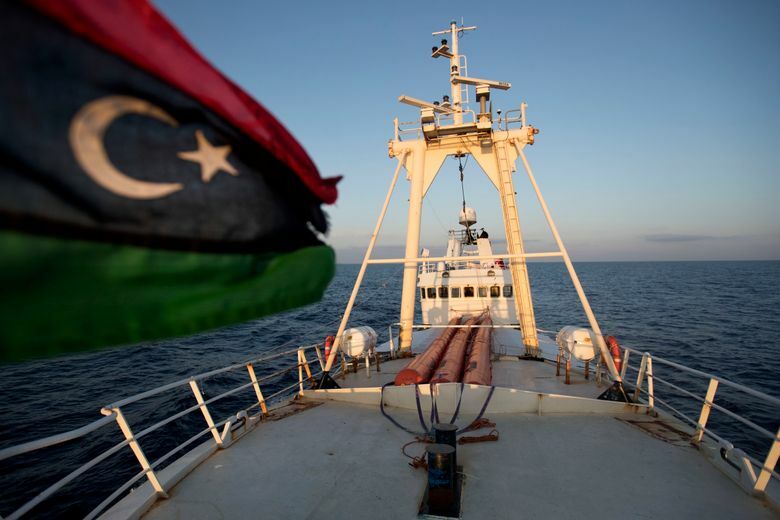 It works the SAR zone — the search-and-rescue zone — which starts 12 nautical miles from the Libyan coast and goes 12 miles deeper into the sea’s unpredictable waters. This is the last, deadliest section of the migrant highway known as “the Libyan route” that slices across the African continent. According to UNHCR, an average of 14 people died in the Mediterranean every day in 2016, the highest number ever recorded. Canardo, the head of rescue operations on the Golfo Azurro, spoke that April day to Italy’s Maritime Rescue Coordination Center, which passed along the troubled vessels’ coordinates. Half a dozen rescuers quickly put on wetsuits and loaded sacks of lifejackets onto two orange rubber rescue boats. 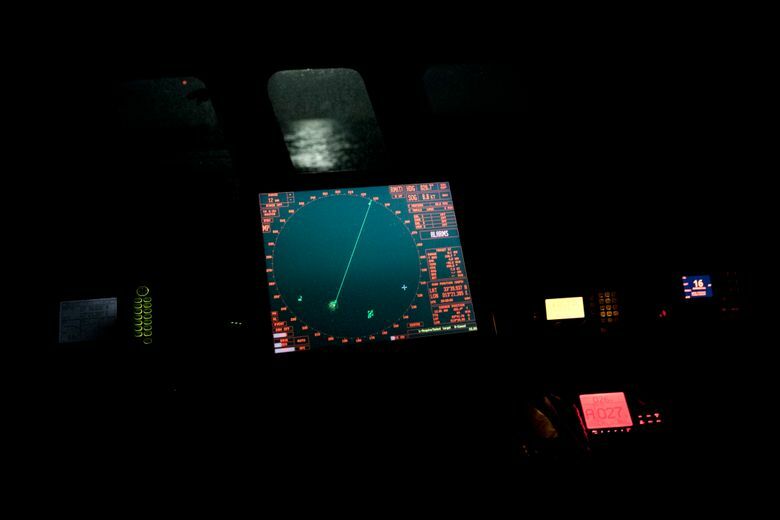 Fernando Garfella, skipper of the lead rescue boat, confirmed the coordinates and sped toward the target. After 15 minutes, a dot appeared on the horizon. 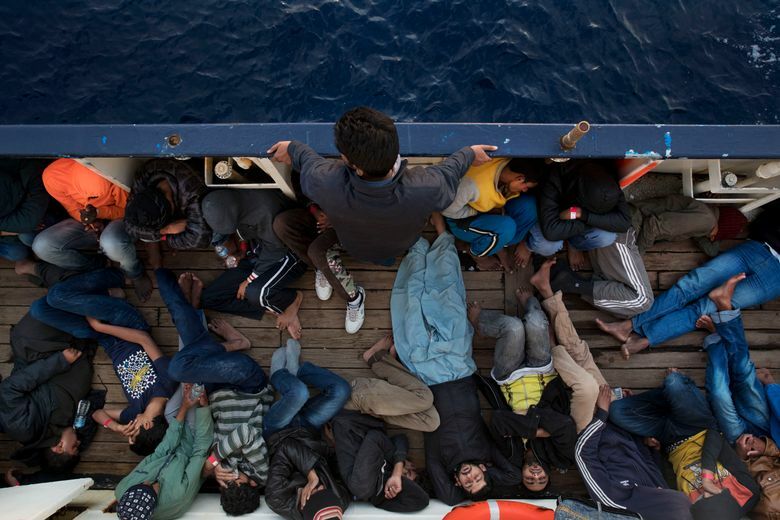 Most migrants on the Mediterranean are now trying to reach Italy. 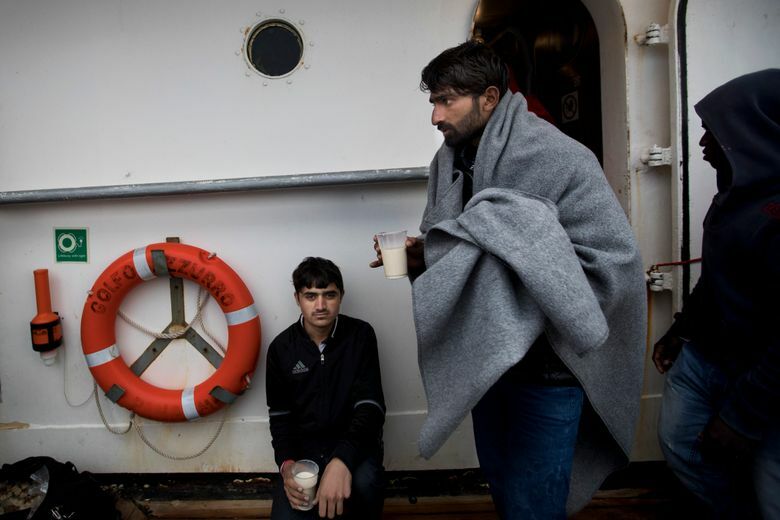 Those numbers have dramatically increased since the European Union and Turkey signed an agreement last year that allowed Greece to send new asylum-seekers back to Turkey. In exchange, the EU agreed to speed up visas for Turkish citizens and donate 6 billion euros ($6.4 billion) to help support the hundreds of thousands of refugees living on Turkish soil. 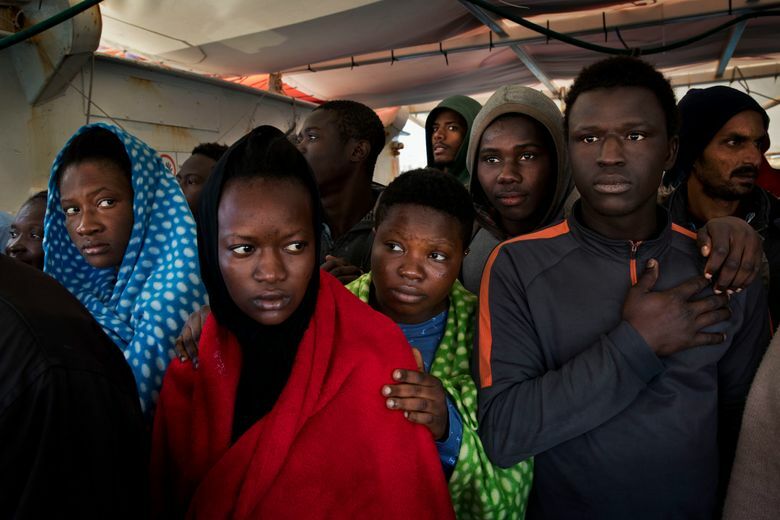 Over the long Easter weekend, at least 8,300 migrants were rescued at sea, according to a U.N. refugee agency official, Carlotta Sami, who tweeted Monday that “rescuers worked incessantly for three days.” At least eight bodies were recovered. 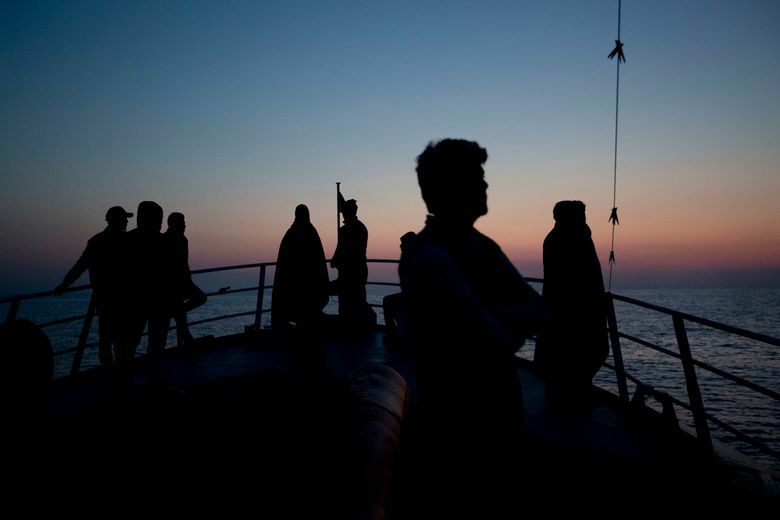 With the Greek smuggling route largely closed off, the path of least resistance has drifted to Libya — a sprawling, lawless country with a huge coast and competing rebel and government factions. 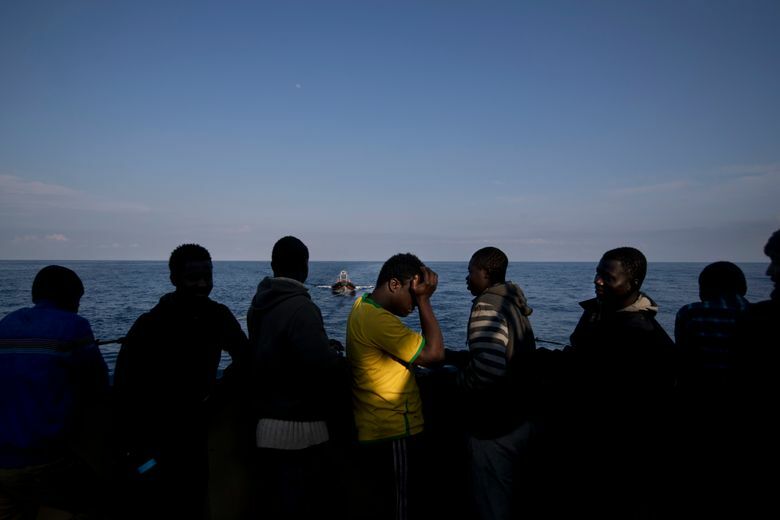 Migrants have flooded into Libya from across Africa, producing a bonanza for smugglers. The first call for help often comes on a satellite telephone directly from a smuggling boat. 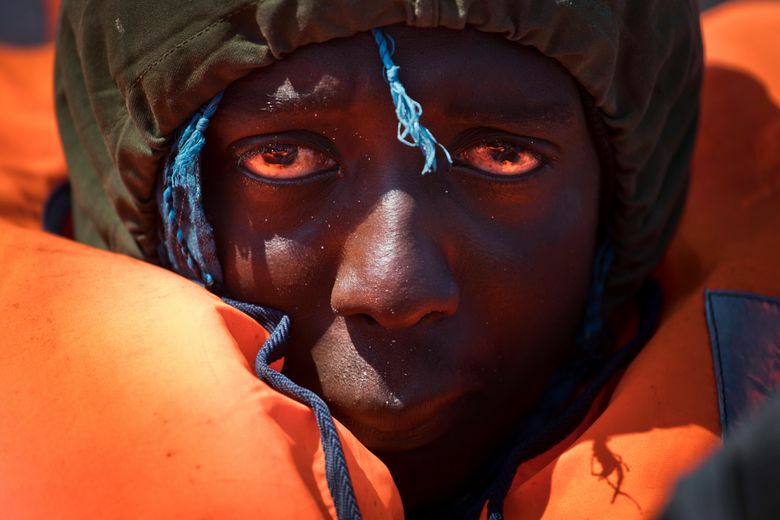 On that April day, rescuers found two jam-packed boats with 152 people — 66 in a rubber boat, 86 in a wooden boat — 56 nautical miles (103 kilometers) from the Libyan coast. Fede Gomez, an Argentine rescuer, told those on the inflatable boat in English to remain calm if they wanted to avoid a tragedy. 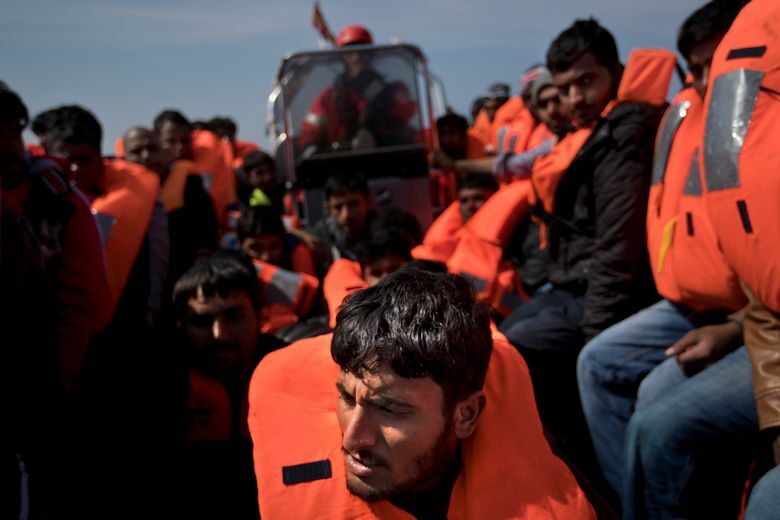 Boats have capsized previously — leading to dozens of drownings — when desperate migrants jumped into the water trying to be rescued first. 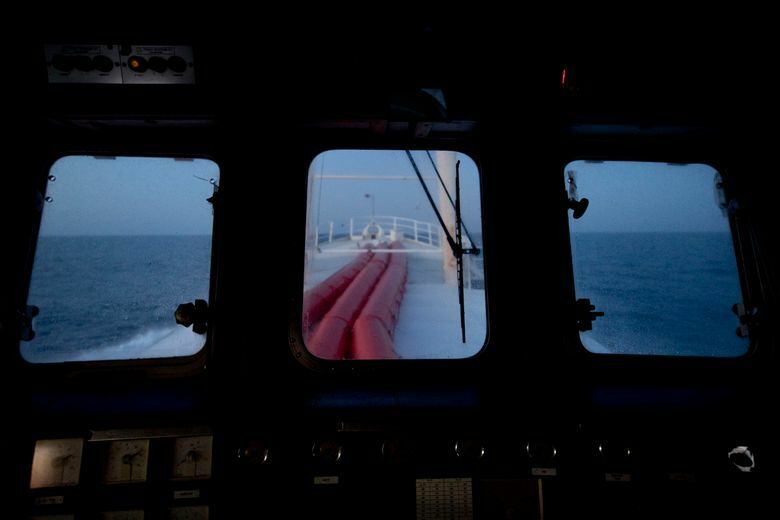 The rubber boat had left Libya thirteen hours earlier, traveling overnight and drifting since its small engine broke down. It was truly a makeshift craft — a rubber floater glued to a wooden base and held together by screws as large as a hand. There was no food or drinkable water left, and nowhere near enough fuel to reach Italian soil. 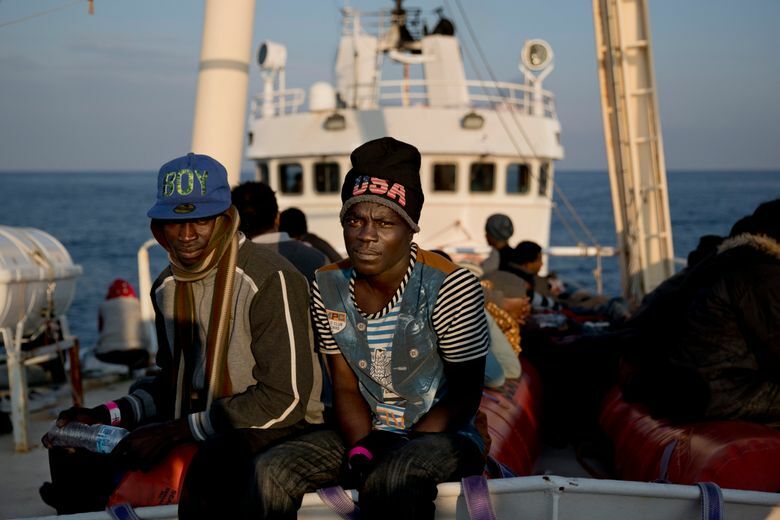 The migrants were told that Europe was only five hours north of Libya. In fact, the closest point is Lampedusa, a tiny Italian island 160 nautical miles away, a boat journey that takes more than 32 hours in calm waters. This group was lucky enough to reach an offshore oil well platform, guided by its burning flame, and rescue workers linked up with them near it. 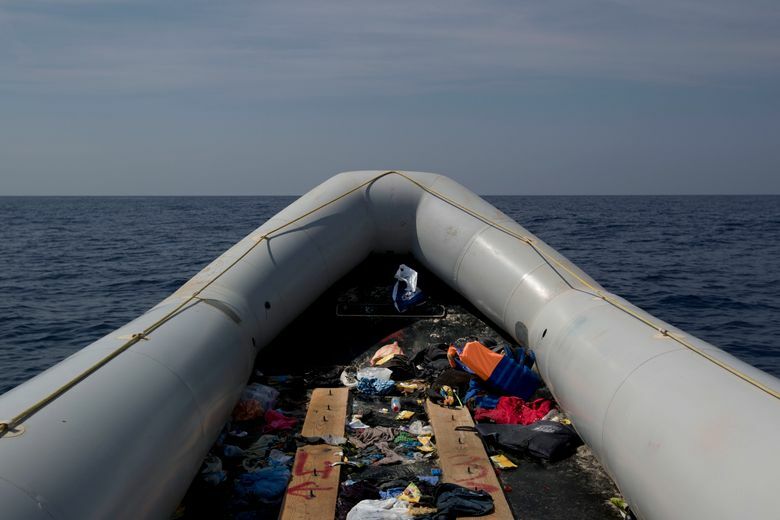 Once everyone had been transferred to the Golfo Azurro, a rescuer destroyed one of the smuggling boats’ engines — the other was broken hours ago. 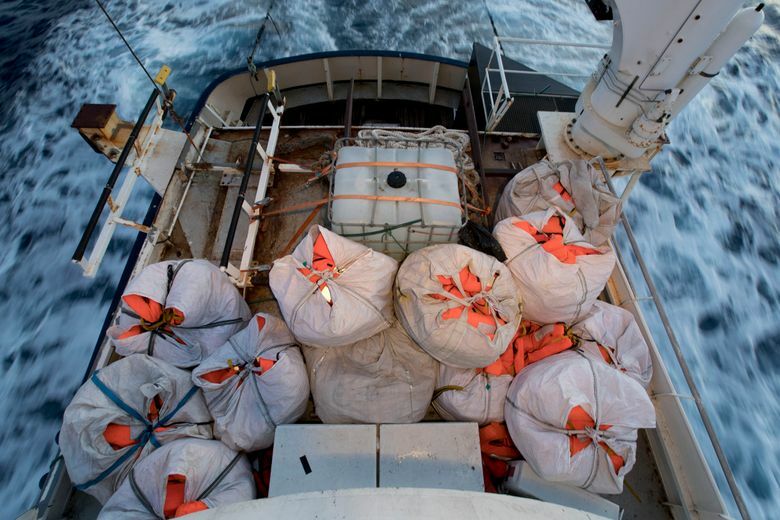 That ensures that no “vultures” — the nickname for the local fishermen who scavenge the engines of smugglers’ boats — can sell them back again to more traffickers. 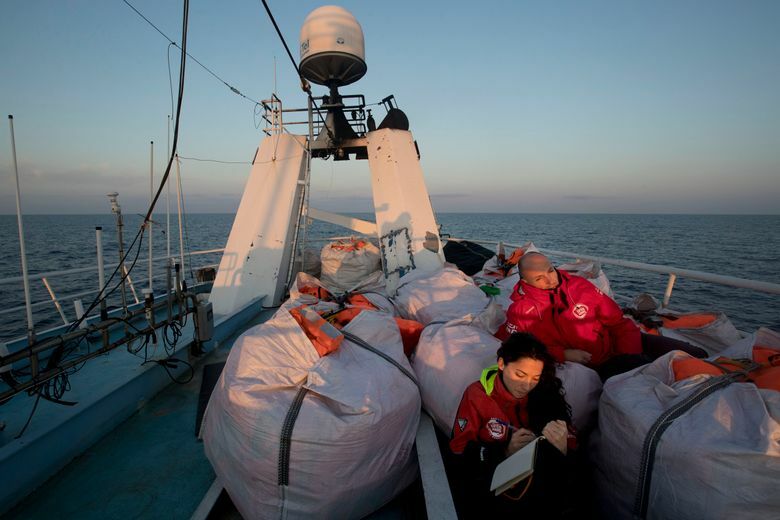 The rescuers’ anger toward the smugglers is palpable, coming out in unprintable torrents. 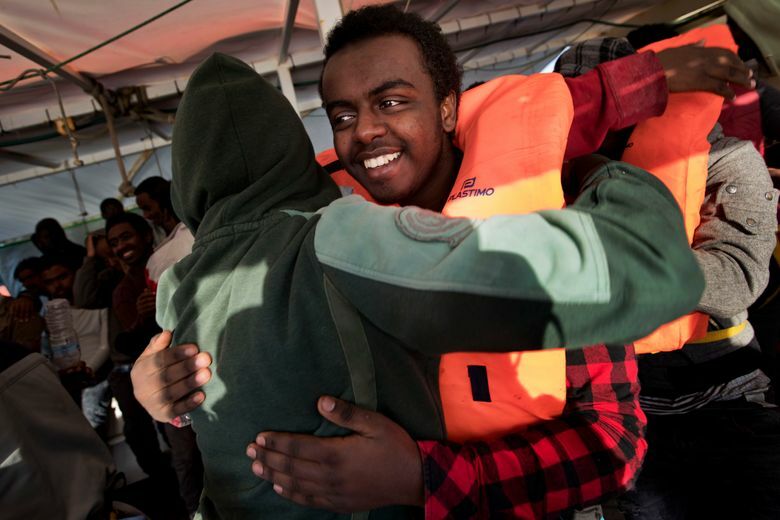 Hours pass by, more migrants are rescued at sea. Eventually 230 are on aboard, coming from Bangladesh, Pakistan, Niger, Mali, Eritrea, Guinea and Sudan, among other countries. The boat now heads to Trapani, Sicily. It has to slow down, since it’s Thursday afternoon and passengers can’t be taken off until Saturday morning. If the boat gets into port too early, the rescuers fear the migrants will jump into the water and try to swim to Italy. Each rescue brings another story, often full of heartbreak but with a common theme — a dream for a better life, an escape from fear or hunger. Yakubu Yahya, a 17-year-old from Niger, went to Libya searching for his missing parents and was kidnapped in the Libyan city of Sabha while crossing the Saharan Desert. His kidnappers demanded $2,000 — an unimaginable figure to him — and he was beaten almost constantly until he managed to escape. Eventually, he found enough work in Libya to scrape together $400 — enough to pay a smuggler to get him to the coast and then get onto the smuggler’s boat. Nuy Hassen, 16, left Eritrea when he was six and spent a decade traveling through Ethiopia, Sudan and the Sahara Desert. Along the way, his friends were killed by smugglers because they got sick and couldn’t keep up. When he finally reached Libya, he was kidnapped and held for 7 months. He’s so traumatized that no one can figure out his full story. Mohammed Abdullah, a 32-year-old from Equatorial Guinea, explained how smugglers demand payment through some of the world’s best-known money transfer companies, often via Gulf countries. Along the way, nearly everyone the migrants encounter is corrupt — including the Libyan military boat that escorted them for an hour after they left the beach at Zuwara. He says Libya was simply awful. 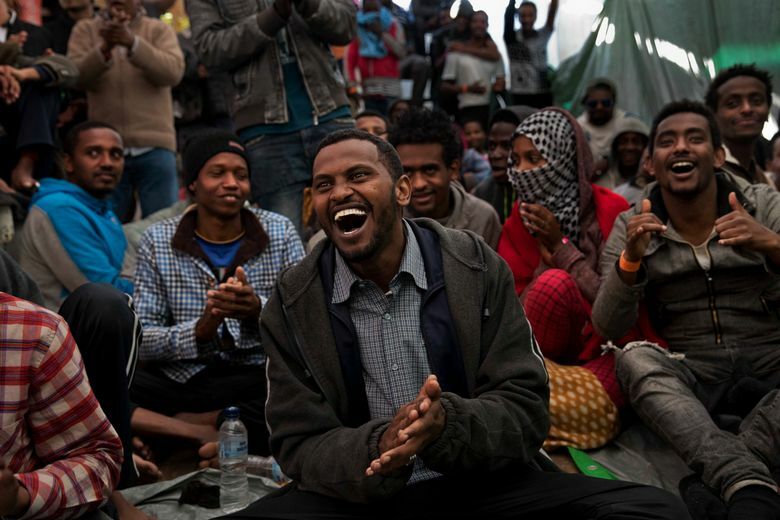 The migrants kept off the Libyan streets as much as they could, afraid of being kidnapped. If they are taken, kidnappers often hang their victims by their feet or fire off guns near their heads as their families are called on the phone, to terrify the families into paying ransoms. Yet on the Golfo, good moments sometimes break out. Like when Ibo, a 23-year-old Gambian, sings Bob Marley’s “One Love” — and others follow with classical Bangladeshi songs and Shakira’s “Waka, Waka.” At sundown, a whale joins the boat on the starboard side. On Saturday morning, the Trapani harbor beckons. 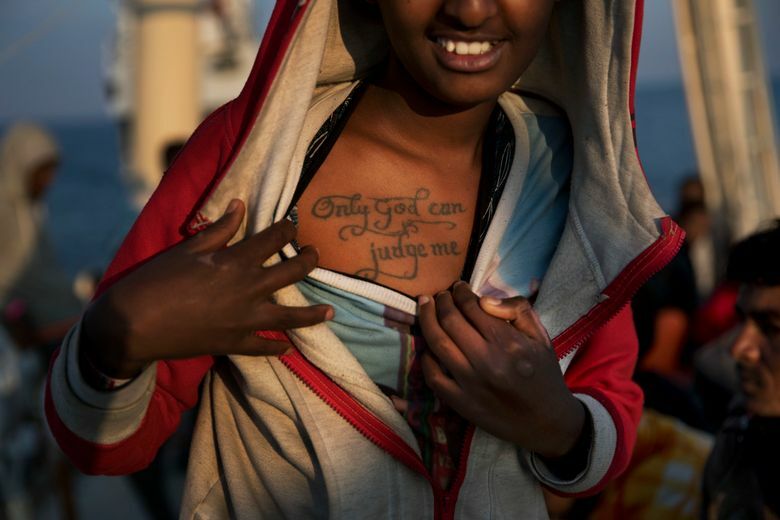 After paperwork, police inspections and medical check-ups, the 230 migrants are allowed to go ashore in Europe. They thank their rescuers, hug each other to celebrate. Most, though, don’t understand that this could be just one more step in an impossible dream. Many will be sent to government-run migrant camps. Others, depending on international agreements, will be sent back home. Looming ahead for many is a frightening question: Do they dare venture again across the Mediterranean?